Our executive team has operated with integrity for decades in the business and property sectors and has established robust financial and investment networks. Using our broad asset identification strategy and research and due diligence methodology, we are able to refine our search for only the most suitable investments. With specialist skills in asset acquisition and over 20 years experience in the Australian property market, Nick has held senior roles and directorships with numerous Australian private and public property companies including Mirvac and AVJennings. Nick co- founded one of Australia’s most successful not for profit organisations Youngcare and combines his commercial and social experience to provide a balanced business philosophy. 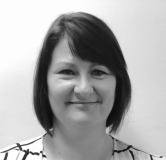 Jody is considered an industry specialist in Holiday Parks’ finance working for 16 years as Financial Controller for 2 entities; a leading company in Holiday Park Management and an owner of 2 holiday parks, with mixed residential and tourism businesses. Prior to that Jody was employed as a company accountant in commercial banking and finance with Suncorp. 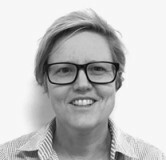 Jody holds a Bachelor of Business (B.Bus) in Accounting, is a Registered BAS Agent, qualified trainer, and a member of the Australian Taxation Institute. 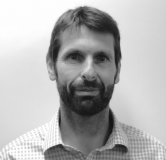 Craig is a Chartered Accountant with 20 years’ experience. 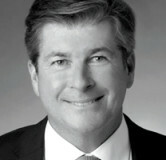 Craig has previously held CFO roles in the civil engineering, manufacturing, real estate and education industries. He has also held governance roles in the not for profit sector. Craig’s business acumen and strategic thinking provides the business with excellent financial insight. 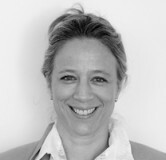 Jennifer has 20 years of strategic marketing experience working in senior management positions in the UK and Australia. 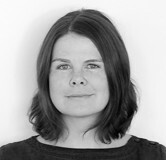 With expertise in consumer retailing Jennifer has an excellent understanding of what drives customer decision making. Her strategic thinking and ability to adapt quickly to changing markets provides her with exceptional brand management capability. Jennifer has over 20 years’ experience within finance roles across housing, transport and livestock trading industries. Previously working for New Zealand based Generation Homes, she has extensive knowledge in property finance administration. Claire has 20 years experience in office administrative positions. She is highly skilled in the development of processes and systems in private and public sectors. With a passion for the preservation of the environment, Claire’s focus on sustainability is perfectly aligned to the Eighth Gate and Allswell brand values. 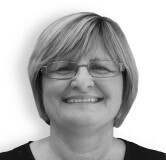 Sharon has been involved with the Holiday Park Industry for over 18 years and has extensive operational experience as a successful part owner / business operators in addition to managing parks within corporate environments. Sharon has attained considerable knowledge when it comes to master planning ideas for parks, capital works projects, development, WHS, revenue management and marketing initiatives. She has a Diploma in Hospitality with 12 months board experience as a Delegate for Queensland Parks Association. Nigel has two and a half decades of business experience in and around the Australian and International funds management industry. 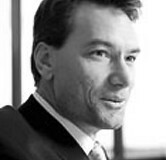 He has held senior global positions with industry leaders such as BlackRock and Bankers Trust as well as being Co-founder and CEO of Impact Investing, a Sydney based Funds Management Financial Services technology company that achieved global success and recognition. Nigel is Managing Director of Caana Holdings, an investment company focused on the deployment of capital into public and private equity markets. 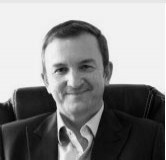 Peter has over 23 years business experience including 16 years experience as a senior executive in the property funds management sector. Peter’s extensive experience includes as a manager in taxation at KPMG, the establishment and operation of direct property trusts, mortgage trusts and specialised securities. Peter is ASIC RG146 compliant – Securities Institute of Australia including specialist knowledge components for managed investment schemes and securities and is a chartered accountant. 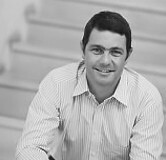 Simon has 20 years board, management, advertising, marketing and not-for-profit experience. His most recent achievements include co-founding Everyday Hero, a pioneer in fundraising technology. In 2011 Everyday Hero was acquired by NASDAQ listed global company Blackbaud. Prior roles include Queensland managing director of the international advertising agency, McCann Erickson and as a board member of the Princess Alexandra Research and Development Foundation and The Queensland Music Festival. He is also a co-founder of national not- for profit organisation Youngcare.